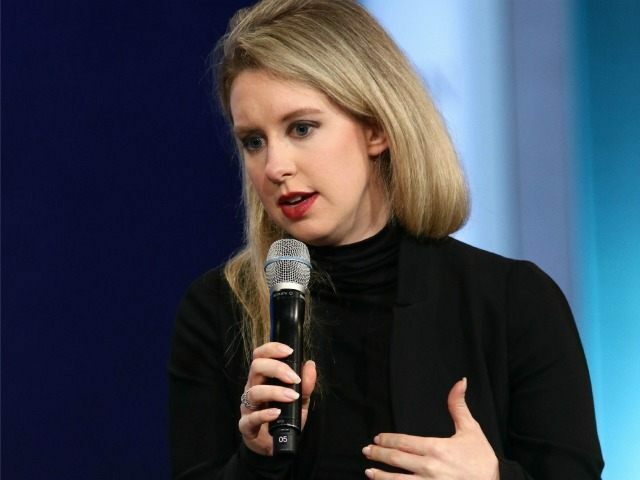 The Centers for Medicare & Medicaid Services (CMS) are proposing to shut down Theranos’s labs and ban founder Elizabeth Holmes from the medical testing business for two years. According to a April 13 report by the Wall Street Journal, the CMS sent Theranos a letter dated March 18, indicating that based on continuing failure to correct blood-testing accuracy and competence in its products, the government may terminate federal licensing of Theranos’ California facilities in Newark and Palo Alto. As Theranos labs’ “responsible parties,” 31-year-old Holmes and the company’s president, Sunny Balwani, would potentially be banned by CMS for a period of two years from owning or running operations of any blood-testing lab in both California and Arizona. Breitbart News reported last October that just three months after the FDA approved the company for a new, dramatically inexpensive finger-prick blood test for thousands of different diseases, and only days before going public at a $9 billion valuation, an “unnamed” former employee leaked to the Wall Street Journal data revealing that Theranos’ testing effectiveness reported to the FDA and CMS had been massively inflated. Theranos at the time was seen as threatening to bankrupt multi-billion-dollar industry leaders, such as Quest Diagnostics and LabCorp, with “unparalleled transparency” regarding its ability to test minute amounts of blood for a spectrum of medical issues; charge below-industry prices; and deliver highly accurate results in hours, versus days. Theranos credited its superior capabilities to the use of proprietary, state-of-the-art “microtainers” and nanotubes that allowed highly accurate blood-testing efficacy for cancer, thyroid disorders, cholesterol levels, STDs and hundreds of other conditions. Such disruptive technology had attracted $400 million in funding from such major venture capitalists as former Oracle CEO Larry Ellison. The tech buzz also enticed Walgreens to joint-venture Theranos’s first commercial test market in the Phoenix area. 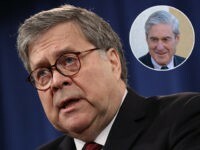 Theranos buzz attracted a high profile Board of Directors that included former Secretary of State George Shultz; Chairman of Bechtel Group Riley P. Bechtel; former Wells Fargo Chairman Richard Kovacevich; former Senators Sam Nunn and Bill Frist; former Secretary of State Henry Kissinger; and former Secretary of Defense William Perry. But a months-long Wall Street Journal investigation discovered the bulk of Theranos blood tests were actually being conducted on traditional test machines, due to comparatively poor performance by Theranos’ proprietary test equipment. All the buzz surrounding the Theranos “unicorn” evaporated on October 29, when Holmes was forced to admit in a live-streaming interview at the first WSJ Live 2015 tech conference at Laguna Beach’s Montage Hotel that Theranos seldom if ever used its own proprietary test machines for blood-testing. As panicked FDA and CMS regulators sent in battalions of investigators to review the Theranos approval process and operational labs, most of Theranos’ Board resigned. CMS March 18 letter states that its investigation between of the period between June 1 to September 21 last year found Theranos failed to properly hire and train qualified people to run its machines; allowed unlicensed workers to review patient test results; failed to follow equipment manufacturers’ instructions; and did not have a written protocol in place to calibrate the machines to maintain accuracy, according to TechCrunch blog. Theranos submitted a plan of correction in February, but the March 18 letter from CMS found Theranos’ effort was still unsatisfactory. Theranos must now either convince federal regulators it has cured the problems at its labs, or be subject to fines of up to $10,000 per day for non-compliance. The March 18 move by CMS likely ends Ms. Holmes’s career in the medical equipment market and probably means Theranos will soon shut down. But the spectacular unknown in the Theranos saga is the personal and corporate liability to Holmes, her blue-blood Board of Directors, and Walgreens if it is discovered that Theranos’s claims were bogus or that its blood testing contributed to medical injuries or loss of life. Note: this article has been corrected to reflect the fact that the government’s decisions are not yet final.